Hardwood flooring is one of the top flooring choices out there. It is a beautiful, durable flooring option that lasts for years. 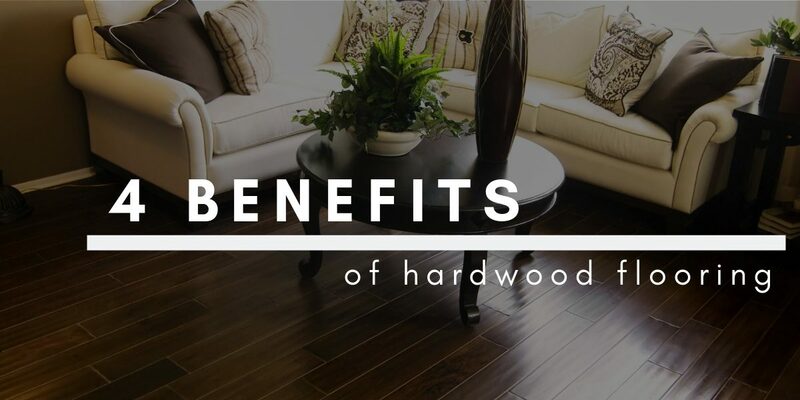 Before you choose to put hardwood flooring in your home, it’s important to understand the benefits. Of all the flooring choices out there, hardwood flooring adds the most value to your home, which is important if you are trying to sell your home. Buyers will pay more for a house that has hardwood compared to any other flooring out there. Carpet, in contrast, is often either replaced or removed by buyers because it holds on to dirt from the previous owners. Hardwood flooring lasts for years and is often considered a long-term investment. While upfront it will usually cost more, it will end up being cheaper long-term because it does not have the replacement or maintenance cost associated with other floors. No one can argue with the classic look of hardwood flooring. It’s a look that will never go out of style. It comes in a huge variety of colors and styles that are considered timeless that you will love for the lifetime of your floors. Hardwood flooring is durable and easy to maintain. Any possible damage can be repaired without having to replace the entire floor. Refinishing your hardwood flooring can also remove any dings and scratches and make it look like new again. Hardwood flooring is a great flooring choice that will bring a timeless style to your home. For help choosing the best flooring for your home, style, and needs let us help. Stop by your nearest Carpet Depot or give us a call and we’ll help find you the best flooring to suit your needs.